Ø Background: There were 42 SEBI registered Asset Management Companies (AMC) in India with 2,043 Mutual Funds (MFs), which offered 9,680 possible choices to investors through their various plans and schemes. This confused the stakeholders and made it very difficult and cumbersome to choose the correct scheme. Therefore, the Securities and Exchange Board of India (SEBI) decided to classify and rationalize the plethora of MF schemes. In its circular SEBI/HO/IMD/DF3/CIR/P/2017/114 dated October 6, 2017, it reasoned that “it is desirable that different schemes launched by a mutual fund are clearly distinct in terms of asset allocation, investment strategy etc. Further, there is a need to bring in uniformity in the characteristics of the similar type of schemes launched by different MFs. 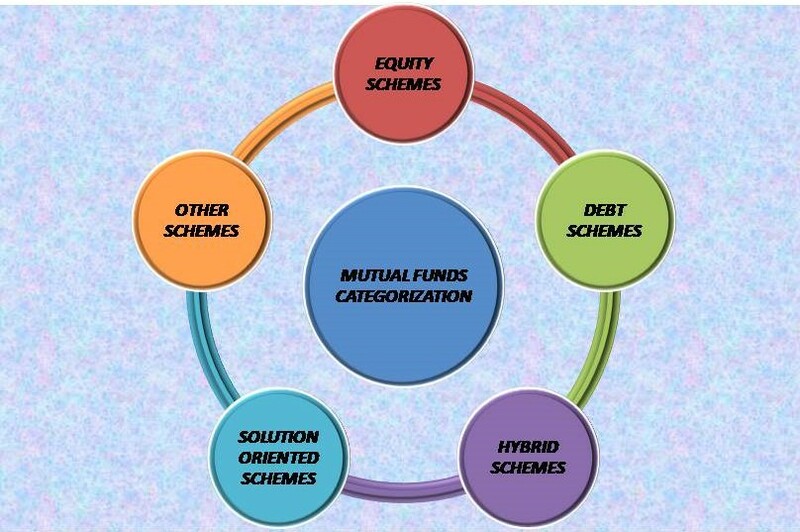 This would ensure that an investor of MFs is able to evaluate the different options available, before taking an informed decision to invest in a scheme.” This circular was applicable to only open-ended schemes as follows: schemes in existence; schemes for which SEBI has issued final observations but have not yet been launched; schemes in respect of which draft scheme documents have been filed with SEBI as on date and schemes for which a mutual fund would file draft scheme document. After considering representations received from Association of Mutual Funds in India (AMFI), it issued some amendments to the ibid circular as per its circular SEBI/HO/IMD/DF3/CIR/P/2017/126 dated December 4, 2017. Ø Portfolio Management: Scheme merger will bring down the number of portfolios to be managed, thereby giving time to fund managers to focus their efforts on generating alpha. Fund managers may have to reshuffle scheme portfolios every six months based on AMFI revising the market cap list, which will increase their costs and impact their returns. Ø Trails and Commissions: Merging of various schemes might bring uniformity in commission paid by asset management companies (AMCs). However, the merger of schemes will result in the renegotiation of distributor commissions and the management of trails, thereby increasing transaction costs. Ø Equity Funds: Some of the large-cap funds will lose their sheen and returns since they will not have the flexibility to invest beyond the large-cap basket of 100 companies to generate alpha. There will be only 150 companies categorized under the mid-cap universe as compared to the current 400 stocks, as a result of which fund managers will have limited options to invest in the mid-cap category. This may force the investors to turn towards multi-cap funds that afford greater flexibility to the fund manager to generate a better alpha. Ø Changes: The changes by SEBI create uniformity in the characteristics of similar types of schemes, enhance transparency and standardize disclosure requirements. It groups and names mutual fund schemes based on investors’ underlying investment objectives and offers flexibility to investors on the nature of investments and risk exposure. The new categorization will facilitate the investor to make an apple to apple comparison. Not only will this help him to choose the scheme, but it will also help him to know and understand the impact each scheme or fund will make in his portfolio. Ø Hurry Not, Worry Not: Almost all the fund houses have mentioned that these proposed changes are to be effective from 3rd or 4th week of May 2018. Investors need not to hurry or worry to exit and re-enter funds at this stage based on returns alone, without knowing whether the fund will fit you in its new category and attributes. Instead, they must wait for funds to settle into their new categories and then take considered decisions based on their risk profile. If there is a minor change in the fund mandate, then investors could ignore the past performance and wait for the fund to build a track record. Ø Debt Funds: The NAV of debt funds fall when the interest rates rise and vice versa. Therefore, SEBI has chosen the Macaulay duration (a measure of how much the NAV will vary when the interest rates change) to classify how volatile the debt fund NAV is to the interest rate movements. SEBI has also made an effort to segregate credit risk by differentiating corporate bond and credit risk funds. However, the gilt category does not have any restriction on duration and this can be painful for investors who wish to avoid credit risk completely and also minimize rate risk. The naming convention of debt schemes is as per the risk level of end investments. The nature of risk carried by debt schemes may still not be understood well by investors as simply changing the name might not highlight the quantum of risk element in these schemes. Ø Hybrid Schemes: Under the current categorization, these have been defined into three types: Conservative hybrid fund, balanced hybrid fund and aggressive hybrid fund. For an investor, the scheme differentiator will still remain a concern. Ø Portfolio Review: The new categorization necessitates a portfolio review by the investors based on their risk profile and financial goal planning. The problem is that investors who wish to exit or switch a scheme that has changed mandate or has merged will have to pay capital gains tax because of this SEBI ruling. In case they decide to continue with some of their ongoing schemes, then they must monitor the returns closely for the next 12 months and then take a call. Ø Financial Advisory Services: Last but not the least, it is better to check your choice of funds with your financial advisor in Jaipur to ensure you are not comparing funds whose past record is not comparable. Be wary of going merely by the ratings offered by various websites (unless they clearly state what their new methodology is), if the comparison is done with new peers based on past data. When it comes to reviewing your funds, stick to comparing the fund with its respective benchmark and check if the fund is able to deliver 2 to 3 percentage points more than the benchmark in the case of equity.